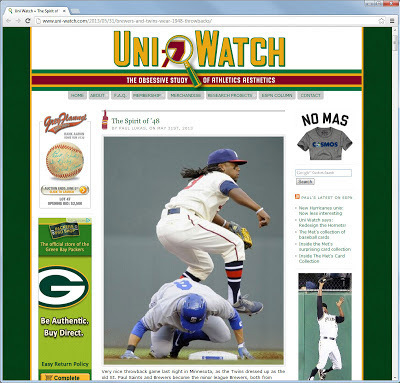 Borchert Field: Uni Watch - "The Spirit of '48"
Yesterday's Uni Watch featured a great summary of the recent 1948 Turn Back the Clock game. 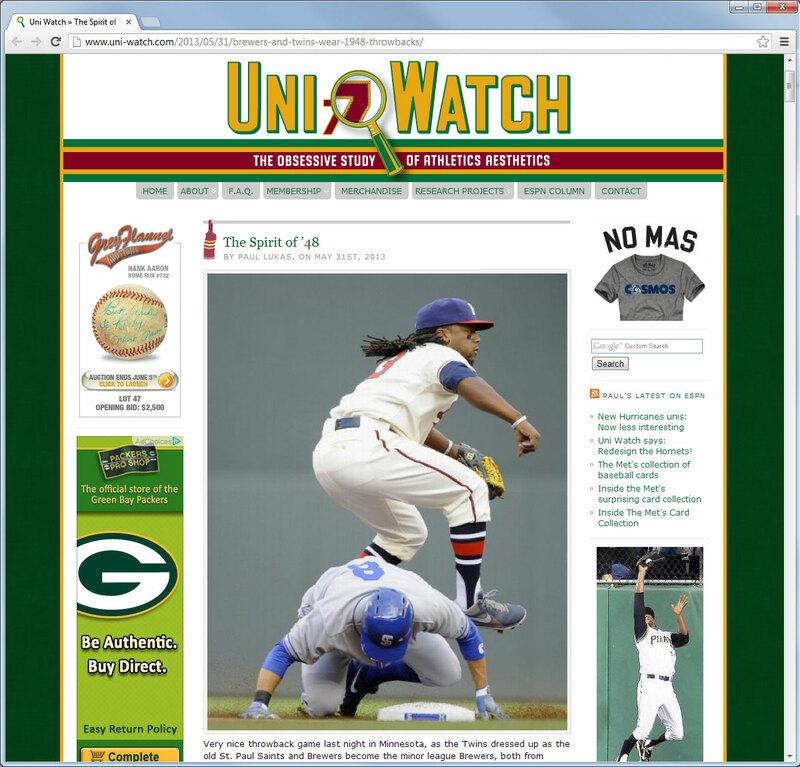 I'm rather tickled to note that he used the same image for his splash as I did in my recap: Rickie Weeks turning the double-play. The Twins proposed having the two teams wear the throwbacks early in the week in Milwaukee and then again Thursday in Minneapolis, as the teams were playing four consecutive games this week, two in each city. 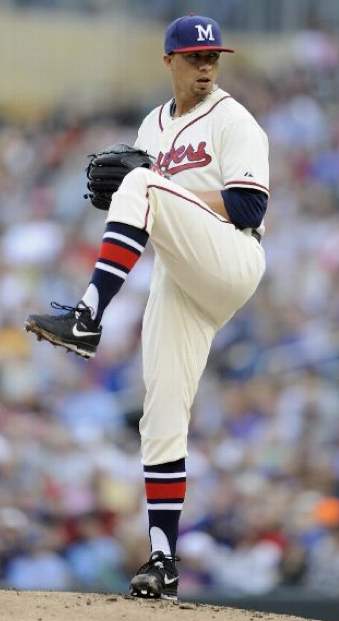 Problem was, Milwaukee chose not to host a throwback game with these uniforms, since they felt they were wearing enough throwbacks at home already this year. "Wearing enough throwbacks at home"? There's the 1913 throwbacks they wore on May 5, but I'm not aware of any others. Unless, of course, they're counting the royal-and-gold pinstriped retro uniforms that most Brewer fans think should be their regular set. the spring training "YOUniform" contest winner that will undoubtedly make its way on to the Miller Park field sometime this season. That's twelve different jerseys the Brew Crew will wear in 2013, including the throwback from Minnesota. I'd speculate that the lack of any consistent brand might indicate the fans' dissatisfaction with the Brewers' regular look, but I don't know if the team would agree.